Not too long ago, cosmetic dentistry was expensive and tough to find. You were considered lucky if your teeth were healthy, even if they were crooked, stained, or misshapen. Crowns, fillings, dentures, and other restorations were unwieldy and unattractive, as the technology did not exist to truly mimic natural teeth. Today, affordable cosmetic dentistry has become the norm. Regardless of genetics, it is now possible for anyone to have the smile they envision. A talented cosmetic dentist, utilizing the latest technology, can design and create a truly stunning smile. Yet many people wonder whether they should spend the money. Here are 5 reasons to invest in cosmetic dentistry. With brilliant white smiles so easy to obtain, people with imperfect teeth tend to hide them. You might learn to smile with your mouth closed, turn down dates, and even stop participating in social gatherings. Even when your teeth are hidden, you may not like your appearance, as sunken cheeks and tight lips are the natural result of failing or missing teeth. Cosmetic dentistry can restore your self-confidence. You might find yourself standing up straighter, smiling easily, speaking loudly, and even grabbing the spotlight. 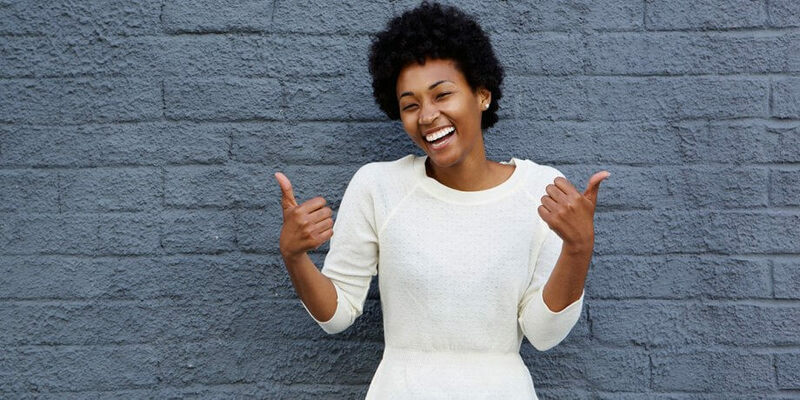 This newfound self-confidence can spill over to all aspects of your life. No matter what job you have, building rapport with prospects, clients, and supervisors is essential. Hiding your smile can make you seem insincere or aloof, while showing bad teeth can keep you from being taken seriously. With a winning new smile, you can climb the career ladder faster than you ever imagined. Teeth that have gaps, are crooked, or are misshapen are difficult to clean, putting you at risk for gum disease and tooth decay. A bite that is misaligned can make chewing difficult and increase your chances of developing TMD (temporomandibular joint disorder). Fixing your cosmetic dental issues can greatly improve your oral health. A varied and nutritious diet of properly chewed foods is vital to overall health. Yet crooked, misshapen, or missing teeth can make it difficult to eat some foods. This can lead to gastrointestinal issues and even cause you to restrict your diet. In addition, gum disease and tooth decay have been linked to serious health concerns. Your dental problems may be cosmetic for now, but fixing them can boost your overall health and wellness. In today’s demanding, “always on” world, it is common to put yourself last. Career, family, and other obligations can leave you feeling drained, overwhelmed, and exhausted. Investing in cosmetic dentistry is an investment in yourself. Sit back and take a breather while your cosmetic dentist takes care of you.